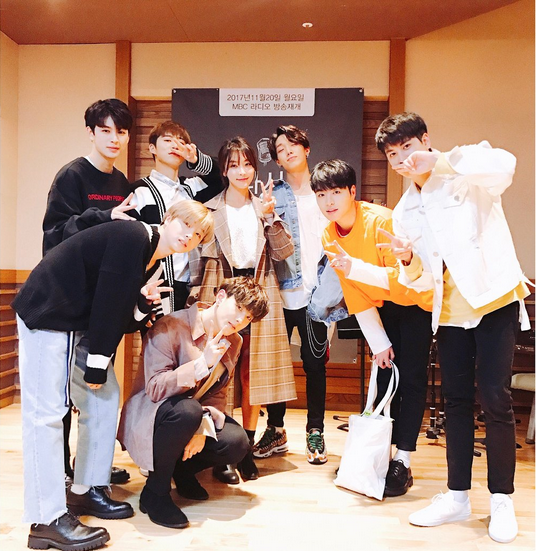 iKON at MBC Jung Yumi FM Date Radio - Last night iKON attended radio show MBC Jung Yumi FM Date Radio. They comes with intersting interviews from Jung Yumi. Here you guys could see their photoshoot last night with Jung Yumi the MC of the radio. They are so fashionable as usual.